Special photographic postcards with the beautiful scene of Boston Harbor's Waterfront skyline. These are premium photographs printed on matte postcard stock, with a simple backing allowing you plenty of space to write your message! It's rare that we deal with printed photos these days, but the postcard community is making a comeback. Send some postcards to friends, family, loved ones, acquaintances to give them something tangible that will brighten their day! This is a limited edition stock of 50. 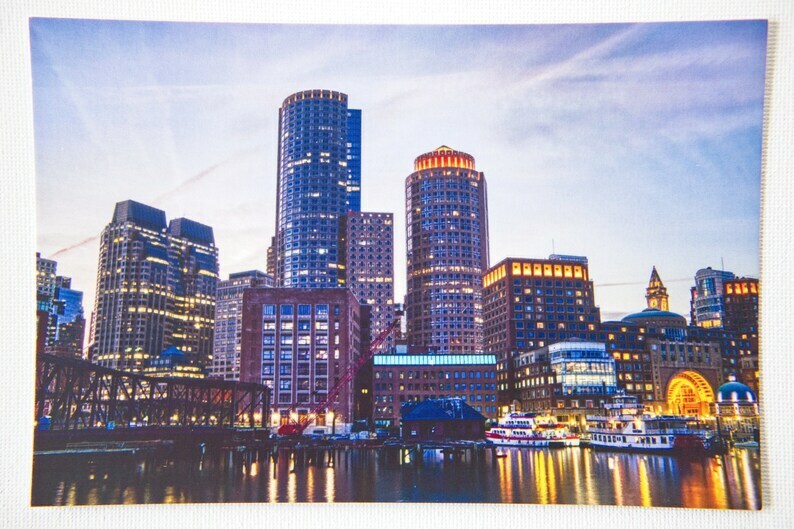 These were created by local Boston photographer Molly Kate. See the rest of her photographs at www.mollykatephoto.com and inquire for special orders or prints.